A haunted mallet. A spooky song. An old west ghost story. Can Shelby survive a family camping trip, or will the ghost of past misdeeds come calling? Shelby didn't want to go on the family camping trip with her parents and baby sister Rhea. Sitting around telling ghost stories couldn't be more boring, even if one of the stories is supposedly true. When she accidently gets a scrape on her finger from the wooden mallet that is the heart of her mother's ghost story - and not to mention also a bloodstained antique from the cowboy days - Shelby gets a glimpse of what she may have unwittingly unleashed into modern times. With the help of her family, Shelby must try to piece together the story of the haunted mallet and a certain song by the Eagles that keeps playing ... and playing ... and playing before this Texas-sized ancestral ghost story takes a turn that just might be headed down a dead end. 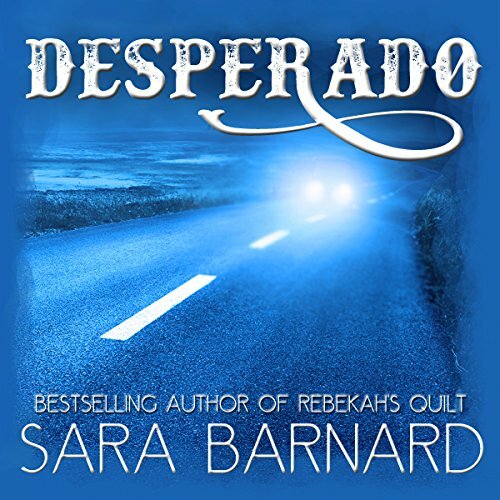 If you could sum up Desperado in three words, what would they be? This is a quick audiobook to listen to. Very interesting. I also downloaded the kindle ebook. Not as spooky as I thought.